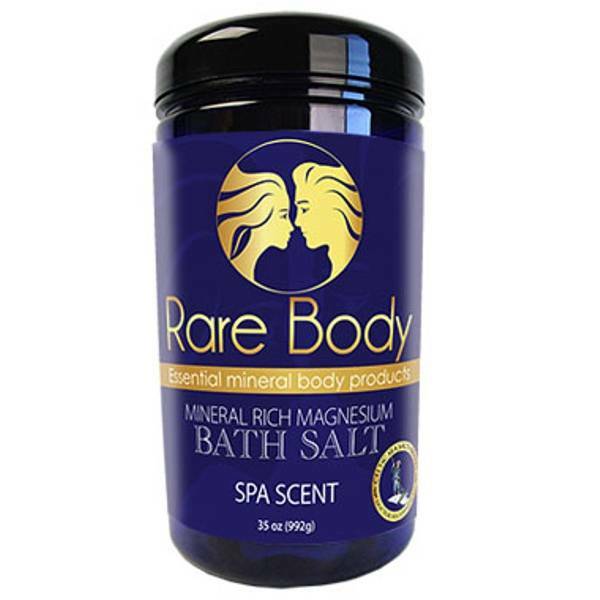 Rare Body® Bath Salt is a blend of Celtic Sea Salt® mineral brine, Celtic Sea Salt® and essential oils. Pour one cup or more of Rare Body® Bath Salt into bath. Sit back, relax and let the minerals do its wonders. Follow with Rare Body® salt scrub and Rare Body® mineral moisturizing oil or body butter. Ingredients: Celtic Sea Salt® bath salt,Celtic Sea Salt® brine and Essential oils.